Breaking news from the upper-echelon of Disney. 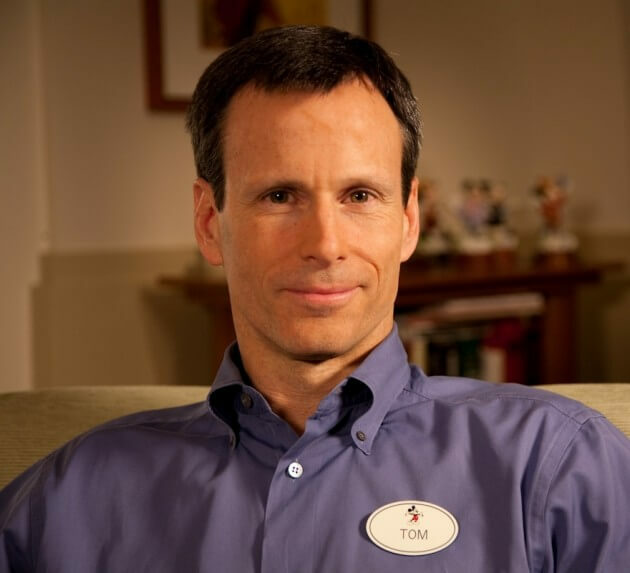 Sources have reported that Walt Disney Company COO Tom Staggs is officially stepping down effective May 6, 2016. This is very interesting because Staggs was apparently set to replace current CEO Bob Iger, who is set to leave in 2018. BizJournals reports that Staggs will be taking on a new role as a special adviser to Iger, while the company’s board of directors look to “broaden the scope of its succession planning process to identify and evaluate a robust slate of candidates for consideration” while adamantly on the lookout for Iger’s replacement. As of this post, we haven’t been given any information as to why he is leaving the company. It could honestly be any number of reasons. Apparently, the New York Times reported that Staggs how often come under much scrutiny by Disney’s Board of Directors, and that it had become very clear that many members were not convinced that he had the chops and skill set to take on such a heavy position. The parting of ways was apparently mutual. “Tom has been a great friend and trusted colleague for more than 20 years. He’s made important contributions to this company, earning wide respect across the organization for his achievements and personal integrity. I’m proud of what we’ve accomplished together, immensely grateful for the privilege of working with him and confident that he will be enormously successful in whatever opportunity he chooses,” said Iger, in a prepared statement. What do you think of this giant changeIn Disney corporate staffing? What kind of impact do you think you will have on the company as a whole? Let me know your thoughts in the comments below! For all things Disney related, stick with Inside the Magic! I can’t say I have ever paid much attention to who is “in charge” at Disney or how the parks, movie makers, etc. are connected on a corporate level. But Disney movies have been going through a slump in my opinion (most of the releases the past 5 years or so have only been good by Disney standards and few have been great), while the parks seem to be getting bumped up a notch. I hope that changes at the top will see the movie making portion getting reenergized the way the parks have been. It’s not that the movies have been going through a slump, it’s that Iger has been getting a little “corporately senile” after too long at the head, and the Frozen-centrism at the marketing and the parks, and the desire to send hit sequels down the pipe, has started to get some fans wondering who ELSE should try and run the company. We started paying attention to Iger’s retirement date when he started getting too snarky at the fans who asked for Song of the South, and Frozen 2 and Toy Story 4 has made some of us very interested in his replacement.